One of three men accused of offering cash and cigarettes to homeless people in exchange for voting form forgeries -- has already pleaded guilty to violating the state elections code, prosecutors said Thursday. Richard Howard, arrested last weekend on LA's Skid Row, admitted to a single misdemeanor count of Elections Code section 18603, was sentenced to 60 days in jail, and was placed on probation for three years, according to the LA City Attorney’s Office. California Election Code section 18603 says it's a crime to offer money or other valuable consideration to another person in exchange for a signature on an initiative. Two other men arrested at the same time as Howard have also been charged with misdemeanors. Harold Bennett and Louis Wise were ordered to appear in court June 13. The LAPD said the three were allegedly offering homeless people one dollar and one cigarette in exchange for names, addresses, and forged signatures being written on official petitions using the names and addresses of actual registered voters – that the three men supplied on small slips of paper. The LA County District Attorney’s Office said it reviewed the case earlier in the week but declined to file more serious felony charges until the police had completed additional investigative work. The three men were arrested in an undercover operation over the weekend by officers assigned to the LAPD's Central Division. Police said they had been seen earlier last week engaging in suspicious interactions with people on sidewalks Sixth and San Julian Streets. Officials told NBC4 the men were carrying thousands of dollars in cash and cartons of cigarettes. Other law enforcement officials said the men were carrying signature-gathering paperwork to qualify at least four measures for upcoming elections, including an LA County effort to reduce jail time for some criminals and expand oversight of the sheriff's department. They also had statewide measures to reduce the number of felons considered non-violent, increase income tax on millionaires and property tax on business owners, and a local effort in Long Beach to improve safety for some hotel workers. None of the authors or supporters of those measures were suspected of involvement in the signature fraud. Another woman arrested during the LAPD operations, Christine Hooks, pleaded guilty to a different misdemeanor election code violation for allegedly signing an initiative form with a false name and was sentenced to probation for three years, the City Attorney’s Office said. Charges against a fourth man were dropped. 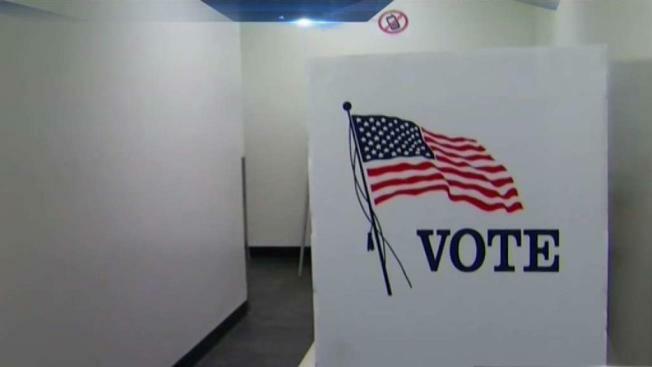 The LA County Registrar-Recorder's Office said it had not been notified by law enforcement about the arrests or the initiatives involved, but said in a statement Wednesday there would be ample opportunity for elections officials to detect any forgeries. "When our office receives a petition it is our responsibility to ensure the signatures provided are valid. To ensure validity, every signature that is submitted for local and county petitions are cross-referenced with the registered voter’s signature on the voter file," the statement said. "If a signature does not match what is on the voter file we will flag the signature and it will not be counted." Paid signature gathering companies, that can charge $2 or more per signature depending on the political campaign, said they often contract with multiple companies, that in turn hire or contract with temporary workers to circulate the petitions.